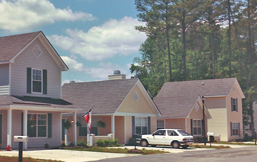 This 43 unit single family community was recognized locally and nationally as a model for delivering affordable housing without public subsidy. 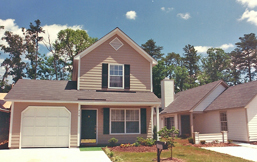 The site included both zero-lot line courtyard houses as well as wide-shallow small lot singles, which combined to achieve an overall density of 7.17 units per acre. 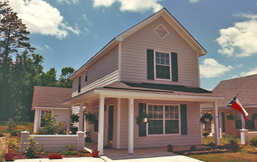 The one and two story models ranged from 928 to 1,412 square feet in size and included optional one-car garages. 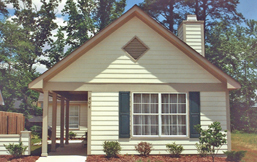 The designs recall the narrow "shotgun" houses commonly built in the Carolinas in the early part of the 20th century.